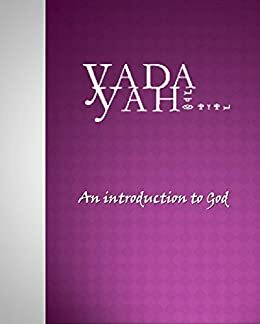 With Yada's blessing I have published Yada Yah for kindle on Amazon.com The price is set at $1.99, the lowest price allowed for it's file size. I know many of you have self-published for kindle, I did as well, but I wanted to do this project for a couple of reasons. 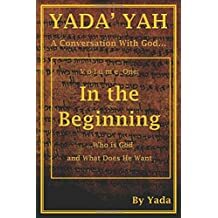 First is simply to broaden the availability of Yada Yah, second is to improve the functionality and content of my kindle copy. For those of you not familiar with Kindle (or similar readers) it is by far the easiest way to read an electronic file, especially one that is this large (newer editions of Microsoft Word provide most of the functionality). Kindle reader apps are free for PC, Android and Apple devices. As my intent is not to profit from this venture I am happy to email you a copy of the YY file that should be fully functional, but will not have the book cover (which is no big loss). Just PM me with an email address that is on file with Amazon, I will send you the file directly and you can just forward my email from your email account to your kindle account. The book should show up on your registered device in 10 to 15 minutes. 4 users thanked InHisName for this useful post. I was pleased to find this after Yada's mention of it last Shabat show I think. It did cost $1.99, but find the value of having YY made so portable and easy to use. Text to speech is useful for many narrative sections, but find I need to stop and really study the amplified translations, but overall find this very helpful. Any word on when ITG may be available? Also will we need to repurchase once the unfinished chapters are added? I agree with you on the ease of use. I read YY 10 years ago on my palm pilot with a free reader app and a self-published file. Thank Yah for phablets, cause my eyes won't read a size 6 font anymore. Hope you enjoy it, let me know of any functionality problems. Not sure about ITG. Now that I have the process down it shouldn't take too long. It just gets a little tedious replacing all of the ancient fonts. I think I found the solution to the shadow images on the ancient letters, so hopefully I can clean up YY if it works. I need to check into how book updates work. My assumption was that it would be a free re-download, but I don't think it actually said that. I will repost when I find the answer. 1 user thanked InHisName for this useful post. 1 user thanked Sheree for this useful post. Finally! 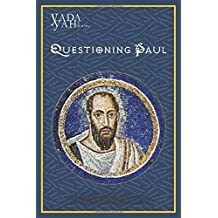 An introduction to God and Questioning Paul are kindle published. My apologies for taking so long in getting this done. Same deal as Yada Yah, $1.99 gets you a fully functional kindle copy of each title. This is the lowest price Amazon will allow. My royalty is 35% which is $.70 per copy (less for international sales). Amazon pays out royalties when $100 is accrued, so I don't see a dime until about 150 books are sold. With the addition of ITG and QP I may get to the $100 mark and then I will have the problem of figuring out what to do with the money. As with everyone else involved with YY I have no interest in profiting from this, my only intent is to make these books accessible. I am endeared to the format as this is how I first read YY (on a phone app not quite kindle)10 years ago. As to updates to YY and ITG, IF Yada ever returns to these books I will update them, but at this time that looks doubtful. ITG is missing a couple of planned chapters, but they were to be rewrites of existing YY chapters and so the information is available there. For those unfamiliar with Kindle, it is an app that allows you to convenienetly read on most electronic devices. Free kindle apps can be downloaded for your computer, tablet or smart phone. Kindle allows you to have the app read the book to you; you can make bookmarks; you can insert notes linked to a passage; it marks and opens to where you left off in your previous session. 2 users thanked InHisName for this useful post. Thank you, InHisName! I'm so happy to be able to read these on my Kindle, phone, etc.... much appreciated! If you really must read from paper, YY, ITG and QP are now available on Amazon in 9”x6” paperback format! Last summer I finally got a royalty check from Amazon for YY kindle books. That represented roughly 140 kindle versions purchased. I hadn’t checked in on my publisher’s page in a while so this caused me to do so. I was surprised to see that Amazon now has a paperback print on demand service. This service allows me to offer the books in paperback format with no upfront costs. I now have all three books available and have purchased the set for myself. The quality seems to be very good although I admit I have not put them through any strenuous use. I have made these available in print because I don’t think the internet is going to be available forever. If you have an idea on how to effectively distribute these let me know. I’m not sure if they will take them, but I will probably buy a set (with the kindle royalty check) to donate to my local Public library. 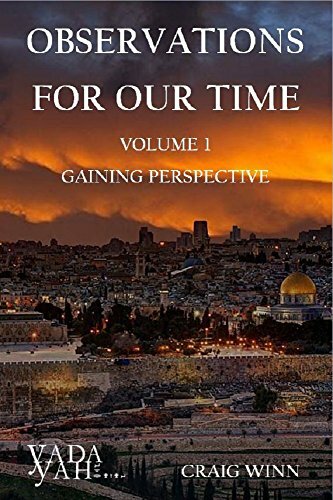 Observations For Our Time Volume 1 is now available in 9" x 6" paperback format on Amazon. Price is $16.58 wit NO royalty payment to me. 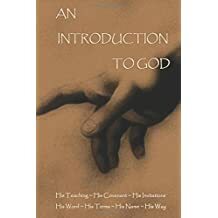 I hope to have the kindle format ready in about a month (requires lots of editing to maintain the Hebrew and Greek fonts), that should be priced at $1.99 the lowest price Amazon will allow. What chapters are included in VOLUME 1, of OBSERVATIONS FOR OUR TIME? It includes chapter 10 Terms and Conditions which is currently being discussed on the Shabbat blog talk radio show. Ordered two books from Amazon, QP and OFOT on Friday, and they arrived today. All books are available free online, but I like hardcopies in my hands. but I like hardcopies in my hands. Yeah, Once my wife said she might read this material if it were in a book format, I knew I had to do it. Hope you enjoy. I just realized that I received a defective printing of Observations from Amazon. In the middle of the book a few pages were misaligned and were attached to the binding crooked causing them to be loose and pushing the text beyond the edge of the trimmed page (cut off a small amount of text). I just ordered a free replacement copy (to be delivered by the 21st) and printed a free UPS shipping label to return my defective copy (must be returned within 30 days). If you have found and printing defects and wish to get a new copy the return process was free and very easy , just find your book purchase in your Amazon orders and follow the prompts. While this is the first issue I have found with about 15 YY book orders, please check out your book(s) and let me know if you find any problems. I will address it with Amazon if it defects appear to be frequent. 3 users thanked InHisName for this useful post. Thanks for making these books available! I have attempted to try to post a video of my husband and two daughters with our ITG books this past Saturday night :) I was jumping ahead to Observations of Our Times however. Waiting for my hard copy! 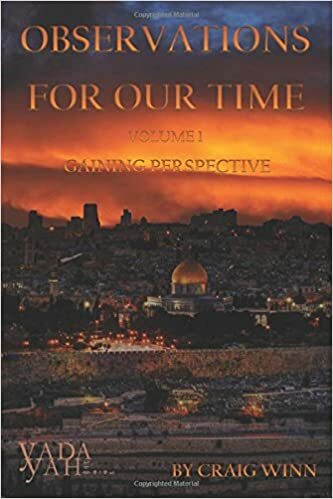 Ahead of my promised schedule, Observations For Our Time Kindle Edition is now available on Amazon. Also, when finishing the publishing process I was allowed by Amazon to price the book at just $0.99! (They also have a new pricing study (that I didn't bother looking at)which I presume shows that at a lower price point you sell more books.) I really didn't care about the study, was just happy I could drop the price point. My next step was to return to the other published YY Kindle books and reduce them to $0.99 , with the exception of YY ...A Conversation With God which was still had a minimum price of $1.99 . (It is really 7 books in one). now in Chapter 10, Terms and Conditions, page 638. I'm going to have to buy Volume 2 very soon. Great price, and remember everything is available FREE online. 1 user thanked MARSE for this useful post.